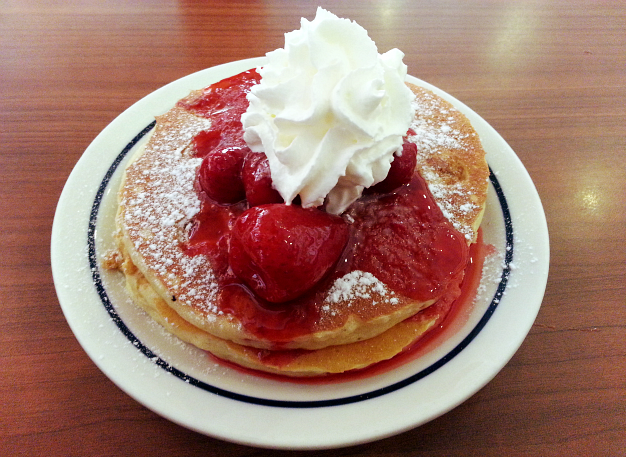 I finally hopped on the IHOP train a few weeks back after all the fuss has fizzled a little. 'A little' because IHOP still gets quite a queue on weekends. But since I had a schedule opposite most of the normal working people, we had that marvelous (haha) chance to go there and be seated right away. Whew! I'm sure you've heard about IHOP. You may know about them because you've been to the States before or you just heard this story where people wait hours and hours just to dine in at this certain pancake restaurant. Personally, one of my reasons for trying this place is the latter. I thought, "It's that good, huh?" Some blogs have a point of comparison since these people were able to dine and feel the IHOP atmosphere at some other foreign land. They had certain expectations. Well, me, too, of course. But still the question rings in my head and it's so persistent, "It's really that good, huh?" I've been putting off going here for too long that I already had high expectations with their pancakes at least. So far so good. The gods must be smiling down on me that time because there was no queue whatsoever. We then went up to the second floor. The staff were quick as they handed out their menu as soon as we got settled. The place was packed and things felt rushed. Like everyone kept on passing by. I think it's best to get seats beside the glass windows because this part felt a bit too dim. Also, I don't know if it's like this everyday, but at some point, things got a bit too loud. Too much laughter, too many utensils clinking on plates, too many people talking at the same time. The place's not as laid back as I hoped it would be. New York Cheesecake Pancakes (PhP 285). The pancakes were indeed soft and I was really happy about it! I know the pancakes itself should be the star of the dish but a little more New York Cheesecake-ness wouldn't hurt, right? I love maple syrup so I did not dare put any other flavor of syrups here. But I sure would like to try the butter pecan syrup next time. The menu said, "two fluffy buttermilk pancakes loaded with creamy, rich cheesecake pieces and crowned with cool strawberries, powdered sugar and whipped topping" but the strawberries were not cool and refreshing. It was just... cold. Bacon Temptation Omelette (PhP 285). Poor photo quality, I'm sorry for that. The egg was not that fluffy. *insert sad smiley here* It looked stiff and dry and it tasted like it was sitting for quite sometime and it was just reheated. 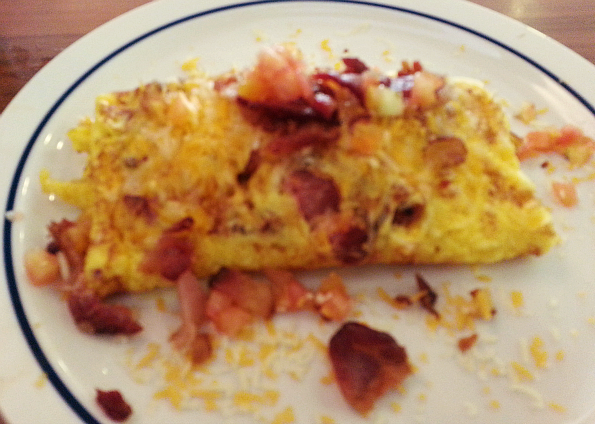 But to my surprise the bacon was crunchy and the cheese were all gooey and generous. So, I'd still give them a tap on the back for that. Splashberry (PhP 175). I asked the food server what she could recommend to us for drinks. 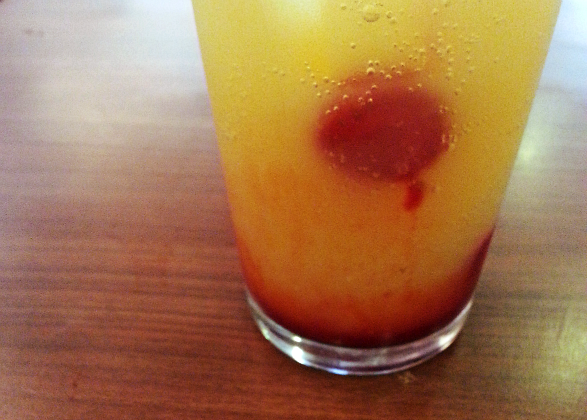 She told us that the Splashberry was a crowd favorite. 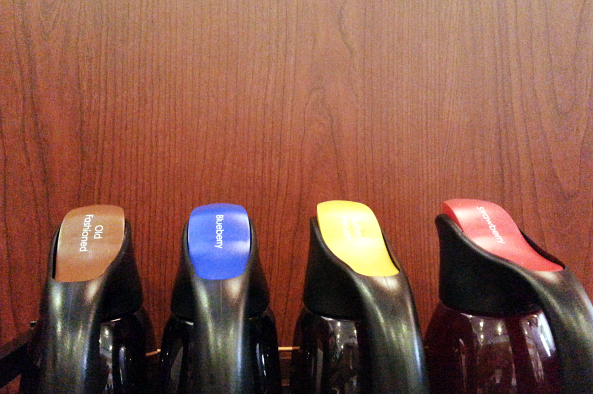 Another plus point for IHOP is that their drinks are refillable. And you need not to ask for a refill! Because everytime your glass is running low, they have the initiative to refill your glass. The Splashberry was a combination of strawberries, lemon-lime soda and premium orange juice, so it was refreshing, although at my first sip, I was quite confused with the taste of this concoction. Next time, would I go the extra mile and endure long lines for their food? No. 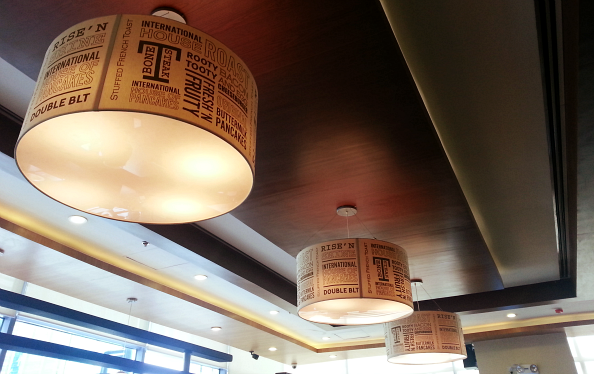 The place/ambiance felt like everything was hurried, service was great and food was okay. The buzz about the place definitely put a lot of expectations but not all of them are met. 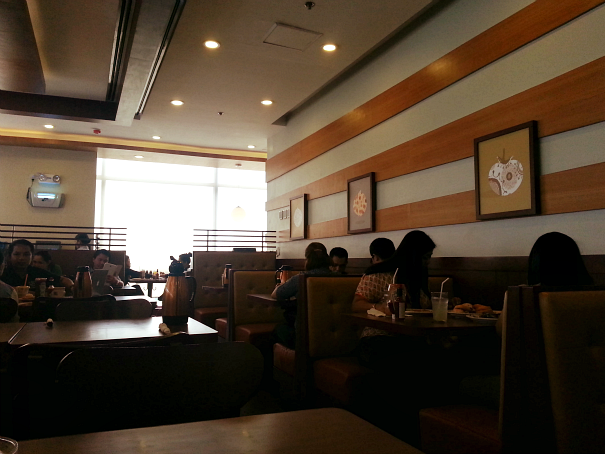 But I wouldn't mind eating breakfast here again if I stumble upon BGC and I'm lucky like the first time. I certainly would try their other offerings, they have such a variety!